A few months back I talked to 2-Tone about the idea of doing a SHAOLIN JAZZ event series in DC, as all of our lectures, events, etc. 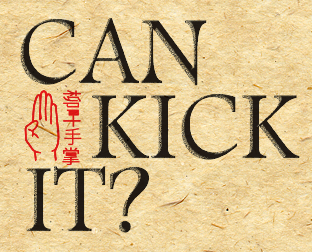 take place outside of the DMV (which is where we’re based), and the idea of screening Kung-Fu flims and playing classic hip-hop came to mind. 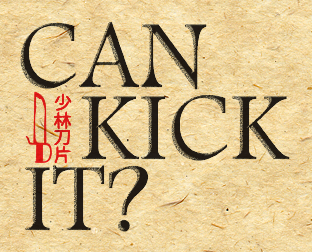 Its a simple concept akin to all lovers of hip-hop and Kung-Fu flics – those week or weekend nights where everyone gathers at one friend’s crib to eat, watch, drink, listen, freestyle (not all in that order) and the idea of doing CAN I KICK IT? was birthed. 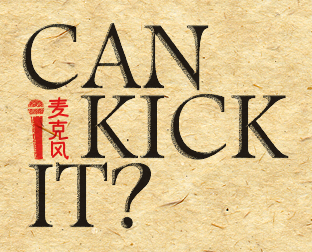 Join us for the launch of CAN I KICK IT? – a unique, monthly event series catered to lovers of Martial Arts flicks, the music inspired by the films, and everything else in between. Starting Sunday December 8th (and taking place every 2nd Sunday thereafter) @ Cause, 5pm-9pm, CAN I KICK IT? will consist of two films being screened throughout the venue with attendees also enjoying a soundtrack of Hip-Hop, Funk, Soul and cinema soundbites mixed live by DJ 2-Tone Jones. SHAOLIN JAZZ artwork and additional visuals on display as well. Posted on November 30, 2013, in Uncategorized and tagged 36th chamber of shaolin, 5 deadly venoms, art vs commerce, can i kick it, cause, cause dc, dj 2-tone jones, gerald c watson II, kung fu, lil soso productions, martial art, philanthropub, risikat okedeyi, shaolin jazz, the 37th chamber, the shaolin jazz the 37th chamber. Bookmark the permalink. 1 Comment.